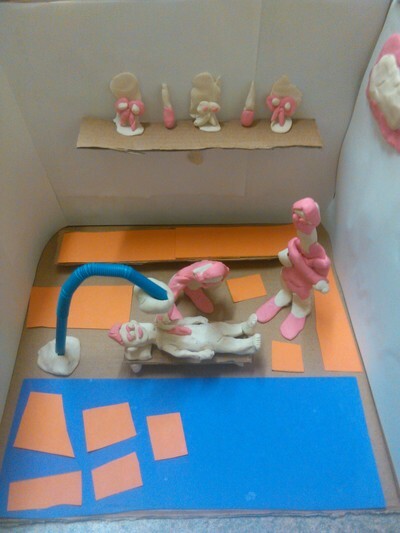 Try out a little holiday project at home by just using some clay and your imagination.Although your kids might never be able to actually visit an operation room, making one at home for some pretend doctor playtime can be really fun. Who knows this activity might actually inspire a future doctor in the making. Start by cutting out the top of the box. Once you cut it out,you need to cut out one side out of the four sides of the box. Cover the insides of the box with the white paper. Make an operation bed out of the scrap cardboard pieces you cut out earlier.Stick it in the center of the room. 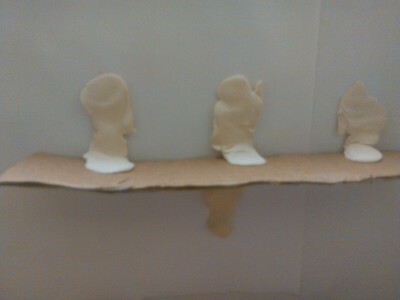 Next you have to make figures out of the clay. 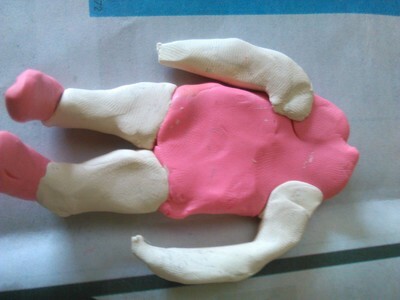 Use the white clay to make the body parts and the pink clay for the clothes of the doctors. You will need to be patient to make each part stick to the other. 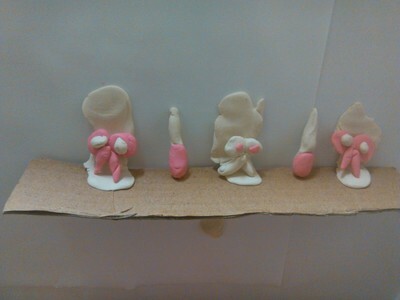 Make three clay figures.One for the patient and two for the doctors. 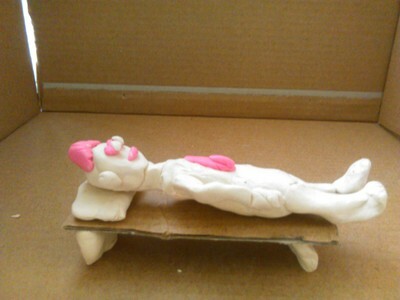 Place the clay patient on the bed and the clay doctors on the side of the patient. Make an surgical light using a bendable straw and clay. Stick it on the side of the operation bed. Now for the operating tools you will need a shelf. 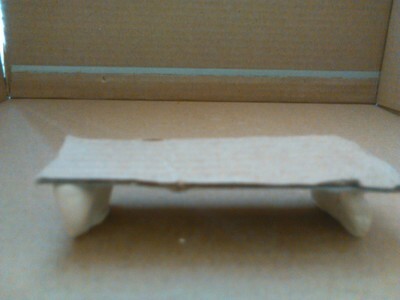 Again use the leftover cardboard to cut out a shelf to desired size. Stick it on with the help of some clay and glue. Make some clay scissors and knives.Stick them on the shelf. 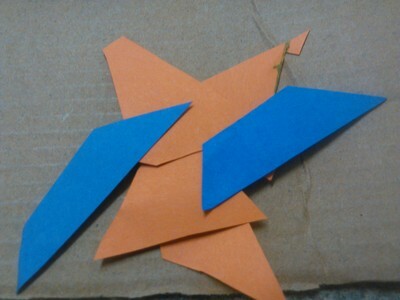 Cut out some coloured pieces of paper to decorate the floor of the operating room. Remember we want to make it colourful and attractive for the kids. Stick these coloured paper strips on the floor and walls of the room. 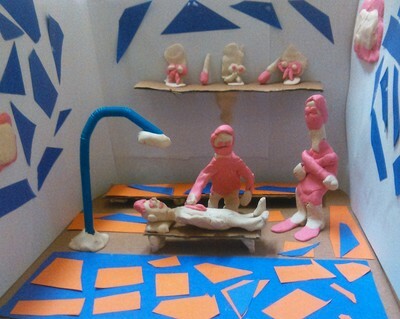 Your colourful operating room is done.